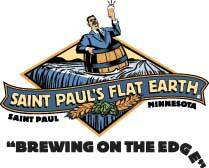 Saint Paul’s Brewing is an organization of fun loving beings, always looking for an excuse to have a great time. They are on a mission to provide the finest craft beers that are worth talking about. Saint Paul’s Brewing offers a variety of handcrafted beers for any occasion. Every Saint Paul’s beer is brewed using only the finest ingredients and the capital city’s purest water. Saint Paul’s Brewing makes 4 year-round beers which you can get for free by using your Craftapped voucher (Angry Planet Pale Ale, Belgian-Style Pale Ale, Cygnus X-1 Porter, and Northwest Passage IPA). You may also use your voucher on their seasonal specials but there will be a small charge added when you redeem.